Horror fans can look forward to the reboot of the legendary franchise of the genre. New Line Cinema is planning a remake of "A Nightmare on Elm Street". The legendary director Wes Craven created Freddy Kruger in 1984, one of the most iconic and most enduring characters of the horror genre. Robert Englund put on his most famous role as a child killer and vigilante victims and transformed the American teenager’s nightmares into bloody reality. 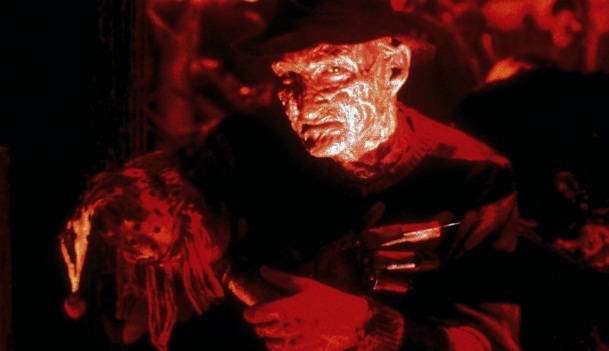 This was followed by six other screen appearances as a disfigured killer with claw hand and even after leaving Englund's lived on the franchise, most recently in "A Nightmare on Elm Street" starring Jackie Earle Haley as Freddy Kruger. Now to follow another "Nightmare on Elm Street" movie. This is according to Collider, it is not a sequel to "A Nightmare on Elm Street", but a real wash reboot, which completely ignored the events from the new edition from 2010 by Samuel Bayer. That should please die-hard fans of the series, but the overall ninth film of the franchise is not just seen as a golden light of the series. Yet little is known about the exact plans of New Line Cinema and we don’t know who will take on the role of Freddy Kruger, who still has the pleasure to take on the director's chair. Once there is more concrete announcements in this respect, we will report about it.